If you’re a parent going through a divorce, your top concern is likely ensuring that your children are as happy and healthy as possible when the process is finished. Determining a schedule that best facilitates your child’s relationship with their other parent, while allowing them to spend time with friends and participate in after-school activities, is no mean feat. 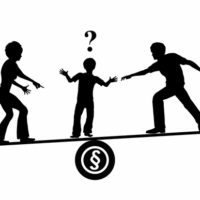 Learn more about how to devise a custody-sharing arrangement that best serves the needs of you and your children. Children crave predictability and routine, especially after the upheaval to their regular lives brought about by a divorce. Rather than recreating the schedule each week, find a pattern for exchanging custody of your children that your kids can count on. Keeping the schedule regular will also minimize the amount of communicating that you and your spouse will need to do, which can help you avoid conflict. Children’s needs change over time. A young child may need to spend more time in person with their parent in order to solidify the bond they share with that parent. However, as children get older, their lives outside the home become more developed. They may want more time with friends, or may need to be closer to school if they’re very involved in extracurricular activities. Older children can also maintain closeness to their parent through texting or talking on the phone. As your children age, remain open to the idea of adapting the custody exchange schedule to suit these changing needs. Having a written record of the schedule you’ve developed is important. Putting your schedule in writing can prevent conflict and ensure that everyone is on the same page. You may want to consider creating a shared electronic calendar that your kids and former spouse, as well as any additional caregivers, can access as needed. While predictability of schedule in a custody-sharing arrangement is important, remaining open to adjustments or one-time changes will promote harmony between yourself and your ex, and spare your children from further discord between their parents. If you are in need of assistance with a family law matter in New Jersey, such as a custodial dispute or divorce, contact Union family law attorney John B. D’Alessandro for assistance with your case, at 908-964-0102.